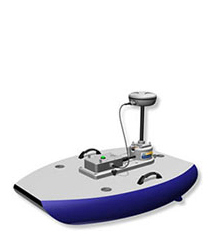 SonTek manufactures affordable, reliable acoustic Doppler instrumentation for water velocity measurement in oceans, rivers, lakes, canals, harbors, estuaries, and laboratories. The FlowTracker2 handheld Acoustic Doppler Velocimeter (ADV®) is trusted by hydrologists, researchers and scientists across the globe. Improved and perfected, the acoustic-based ADV sensor offers unparalleled accuracy, particularly in low flow, and in the shallowest water of any wading device. 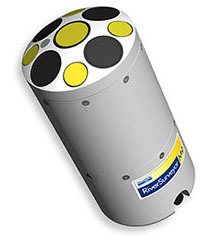 The RiverSurveyor M9 is a river discharge measurement system without the traditional limitations. Small, portable and easy to use, the patented and award-winning RiverSurveyor measures in extreme flood or drought situations within a single instrument, and without changing user settings. 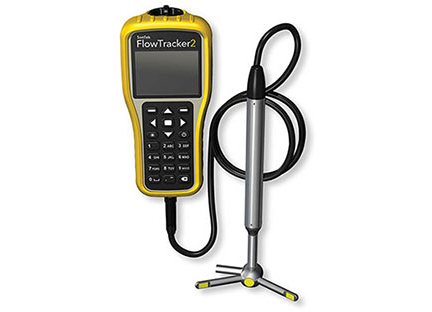 Geotech rents the SonTek FlowTracker 2 and RiverSurveyor M9 nationwide. The RiverSurveyor® M9 system give a new perspective to the notion of measuring open channel hydraulics. Using SonTek's exclusive SmartPulseHD™, multiple acoustic frequencies are fused with precise bandwidth control for the most robust and continuous shallow-to-deep discharge measurements ever. A deterministic microcontroller expertly apportions the proper acoustics, pulse scheme, and cell size to get the highest definition possible so you can focus on the measurement, not the instrument setup. The system even has a vertical beam for precise channel definition and it's all designed to work intuitively.